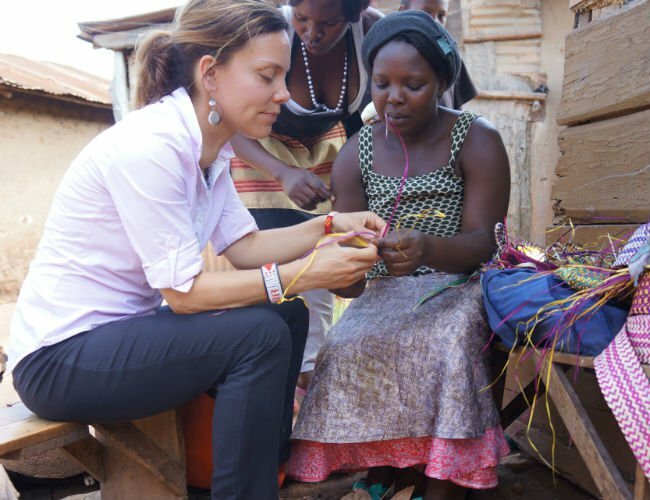 Daphne started Sawa World to end poverty through empowerment and business for youth. The Waislitz Award is given to an individual that demonstrates merit in Global Citizenship, Impact, Innovation, and Potential. Check out last year’s winner Anoop Jain here. This year, Daphne Nederhorst is one of four finalists nominated to receive the award. We asked her a few questions to learn a little more about her work. What should we know about you and your work? “Solutions from within” has been my motto to solve extreme poverty since I was seven years old. This has been my life’s mission for the last three decades and will continue to be my passion. I grew up in Tanzania, witnessed extreme poverty from a young age, travelled to over 42 countries and lived in hundreds of communities stricken with crippling poverty. I listened and learned from the poorest of the poor, got inspired by their innovative spirit, encouraged them to live with dignity and together developed new and inclusive paradigms to solve extreme poverty on a global level. We all deserve to live with dignity and use our own ideas to strive to our highest capacity. The solutions to solving extreme poverty most often lie in the minds, hands and hearts of people living in extreme poverty. Let this be the main driving force to solve extreme poverty around the world by 2030. Solutions from within! What are you currently doing to end poverty? 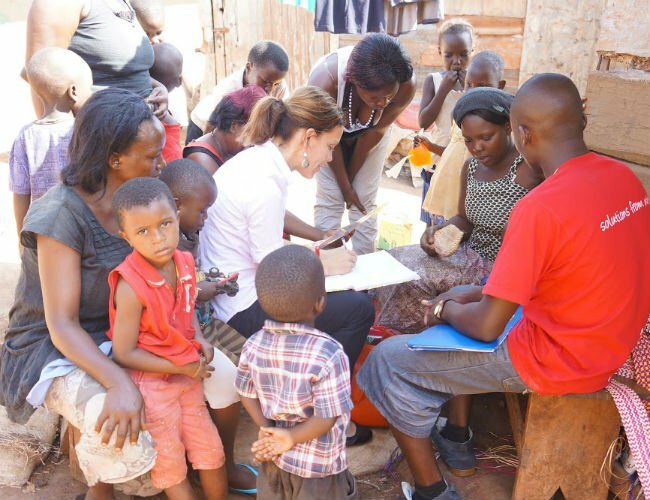 I established an award winning NGO called Sawa World that uses a unique approach to solve extreme poverty by providing large-scale access to local solutions that are found by people living in extreme poverty. Earlier in 2015, political leader, Kofi Annan, peace activist, Emmanual Jal, and Richard Branson’s Virgin Unite endorsed Sawa World for the exceptional leadership and innovative approach to ending extreme poverty. Sawa World aims to self-empower 1.2 billion people out of extreme poverty with their own solutions by 2030. These successful solutions are documented by disenfranchised youth in five unique ways including short “how to” videos, learning posters and interactive workshops. These educational tools are then shared to thousands of youth living in extreme poverty allowing them to replicate the solutions and instantly uplift themselves out of extreme poverty by either starting small enterprises (raising incomes by $2 to $4 per day) or improving their livelihoods at the household level. Since 2008, Sawa World worked in fifteen countries with Uganda as the focal point where we recently transformed the lives of 30,474 youth living in extreme poverty through 1,050 outreach activities. Since 2011, we also conduced 367 educational media broadcasts featuring local solutions to end extreme poverty on radio, television and newspapers, which are estimated to have reached 4.8 million people in East Africa. I also founded the transformative Sawa World Days, which in 2014/2015 hosted close to 8,000 youth from slum communities and inspired poverty-stricken youth to launch and own over 1,000 small businesses in 2015. The success of the Sawa World Days catalyzed the launch of the Sawa World Solution Centre, which is quickly becoming one of the most impactful learning spaces in Uganda in terms of providing large-scale access to local solutions to self-employment for youth that are living in extreme poverty. What would a world without extreme poverty look like? A world without extreme poverty is a Sawa World. Sawa means equality in Swahili. This is a place where each one of us has access to the basic necessities, every child can go to school and is free of abuse, youth can find employment, everyone has access to safe healthcare, the natural environment is respected and protected and there are equal gender opportunities. A world without extreme poverty is within our reach. It will also demand selfless and humble leaders that will allow others to showcase their proven solutions and ignite the ongoing generation of local solutions that will lift people out of poverty and unite communities, regions and countries to live in harmony and equality. There are many global challenges that inundate our daily media including the deepening income equality, resilient jobless growth, rising geostrategic competition, growing pollution and an increase of severe weather events. However, I believe the main challenge is the lack of good and integral leadership. We are in great need for selfless leaders that allow others to see their potential and innovate positive solutions to create a healthy planet. I have witnessed time and time again that the solutions to our global challenges already exist. We need leaders that bring unity within communities and across borders that advocate for a solution-oriented and equal world. What advice do you have for other global citizens? First, identify your unique gift and unlock “the thing” what makes you extremely happy every day. Then find a cause, or start your own movement, to unfold these talents into the world. Secondly, dare to dream big to unfold you passion, lead with your heart and success will be the result. Lastly, why should we vote for you? The award will specifically allow 150,000 East African youth living in extreme poverty to learn five practical local skills to start their own businesses, raise their income by $2 to $4 per day and improve their living conditions instantly. This will permanently lift them and their families out of extreme poverty. The prize will provide the needed funds to expand the Sawa World Solution Centre in Kampala, Uganda, where the 150,000 youth will be trained. The Solution Centre teaches over 40 practical self-employment skills to vulnerable youth living in extreme poverty. The Centre is quickly becoming the most impactful learning space in providing large-scale access to local solutions to ending extreme poverty. In April 2015, the Centre encouraged 4,466 youth living in extreme poverty to start and own 1,064 small enterprises. This raised their income from $1.25 per day to $3.00 per day on average. By 2025, the goal is to have Solution Centers established in 42 of the world’s poorest countries. I would humbly receive the Waislitz Global Citizen Award knowing that very soon we (humanity) will celebrate a world without extreme poverty. The prize will amplify the impacts that Sawa World and I contributed over the last three decades to solve extreme poverty on a global level.